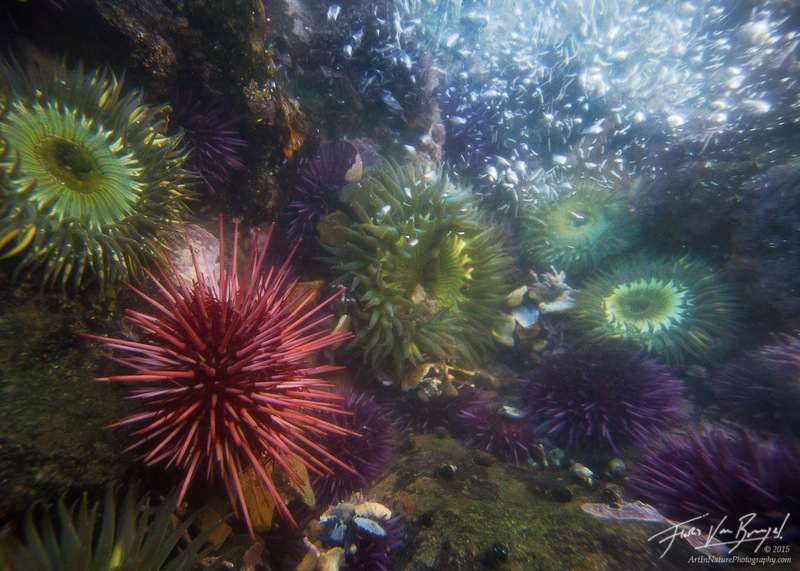 Sea Urchins and Anemones abound in the many little tide pools along the California coast. These otherworldly creatures get pounded by waves of the incoming and receding surf only to find themsevles vulnerable to being eaten by scavengers at low tide. Still, tide pools are among the most diverse habitats around. Pictured here is Strongylocentrotus franciscanus (the red sea urchin), Strongylocentrotus purpuratus (the purple sea urchins), and Sea Anenomes (genus Anthopleura).